A few months back, I was craving some lasagna but it was Kyle who was the catalyst for this recipe. I wanted red sauce. He wanted veggie lasagna with “white sauce.” I said, “Béchamel?” He said, “Yeah, whatever that is, as long as it’s white.” Easy enough. So I winged it. Since béchamel is the base of my homemade mac and cheese recipe, I figured that it should be too hard to made for this lasagna. Ha. Something went awry in my “measurements” (i.e. equal parts butter and flour yield a very thick roux!) but after some tweaking, it turned out really good, and the lasagna was wonderful. So for our brunch last weekend, we decided to put it on the menu. It was something we could make in advance and pop in the oven before our guests arrived. And this time I used a recipe for the béchamel making the process much easier than last time. The whole lasagna came together within 20 minutes and the béchamel only took as long to cook as it did to cook the noodles. I stirred the spinach in with the ricotta and added some Parmesan cheese, salt and pepper. We layered the lasagna like any other we would make and topped it off with a coating of the béchamel and then a sprinkle of Parmesan. We let it cool, covered it and stuck it in the fridge overnight and then brought it out to come to room temperature about 40 minutes before baking it off. It’s amazing that the little effort it takes to make this lasagna yields such a wonderful dish!! Everyone loved it which was evident by the fact that there was so little leftover…thankfully just enough for me to get a few pics though. You’ll note below that we used a hell of a lot of ricotta (not my choice) so next time we make it, we’ll definitely cut the ricotta down by 1/4. And I think I’ll use an extra box of frozen spinach too. But overall, the dish was really really delicious and I wouldn’t change anything else. In a medium bowl, stir together ricotta, spinach, 1/2 cup Parmesan cheese, salt and pepper. Set aside. 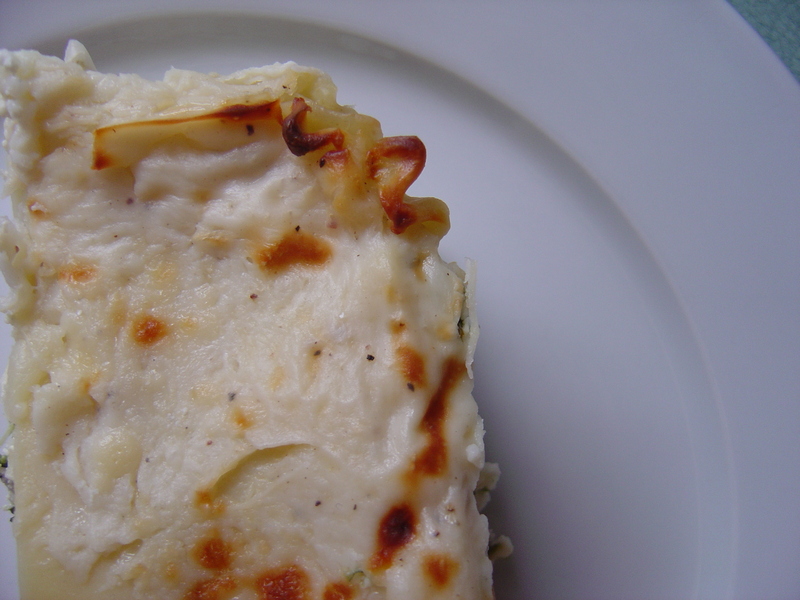 After noodles have been drained and béchamel sauce has been made, cover the bottom of a 13×9-inch baking dish with a thin coating of béchamel sauce. Add a layer of noodles. Cover with 1/3 of the ricotta mixture. Sprinkle on 1/3 of the mozzarella. Cover with some of the béchamel. Repeat layers twice saving enough béchamel to cover the top of the lasagna. On top of the last amount of mozzarella cheese, add another layer of noodles. Top with remaining béchamel and then sprinkle with some Parmesan. Cover with aluminum foil and bake for 40 or until sides are bubbly. Uncover and cook for another 5-10 minutes. Allow to cool for 10-15 minutes before serving so lasagna can set up. This really looks great – love to make a big batch, divide and freeze!! 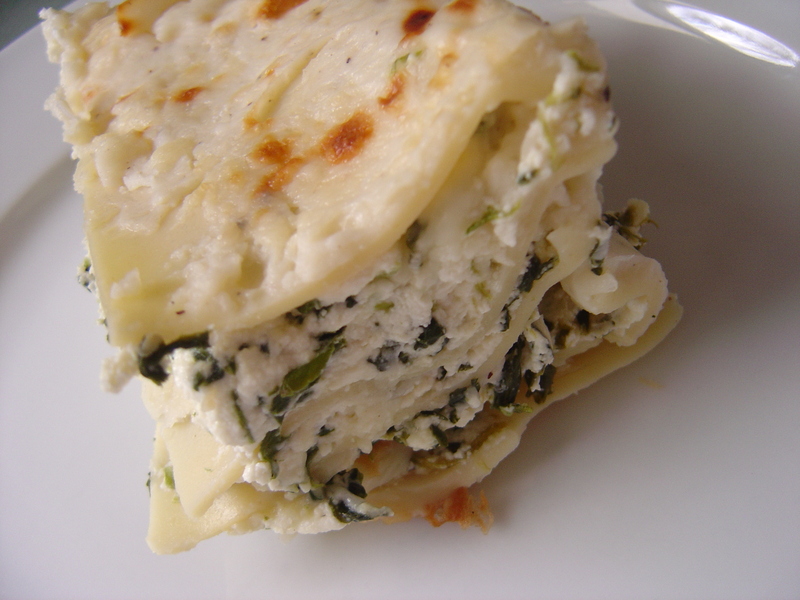 Next round will be this one for sure..
Having a preference for white lasagna this recipe sounds delish to me. Great photos too! That looks good. I would love to try a bechamel sauce. That lasagna looks really good! I made this today, but added fresh mushrooms, and sweet Italian sausage. Very good, I will make it again. 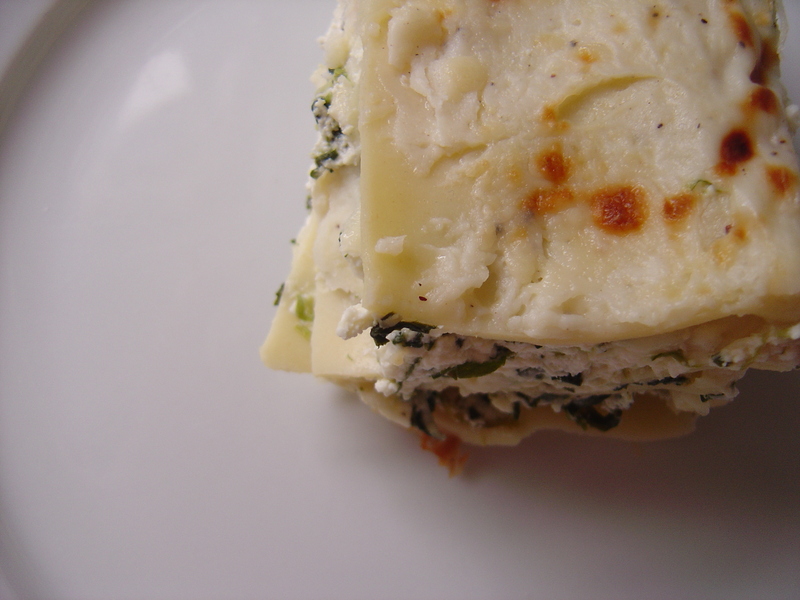 Freezer Spinach Lasagna is easy to make and quite delicious! This wonderful homemade food is a must for families. Ha! No leftovers is such a great statement for how good the meal is! So glad you liked it! !